What is Administrative Support? This Division provides support to the entire Community Services Department as well as coordinating the Registration Office (for all classes, camps, team sports and special events), Team Beverly Hills and Departmental Publicity. Details and contact information are below. 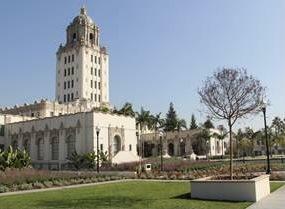 City’s Liaison (coordination and oversight) for the City’s Team Beverly Hills Leadership Program, a resident educational program. Coordinating and monitoring all Department registrations and reservations for classes, camps, city events, preschool, etc. (over 10,000 registrations annually). Responding to customer service needs related to above programs/events. Graphics for the Recreation Services Department (coordinates and prepares the Department’s quarterly brochure, flyers, posters, etc.). Employee training related to revenue collection, daily deposits, Rec1 registration system, customer service skills, etc. Community Services Department Facilities Registration - general oversight and coordination.